Getting Things Done for Rhode Island. To study the impact of AmeriCorps on participants, RI DataHub linked data from the RI Department of Education, the RI Department of Labor and Training, the RI voter database, and the National Student Clearinghouse. The data shows AmeriCorps leverages federal funding to help thousands of RI AmeriCorps members complete college, enter the workforce, and contribute to the local economy. The members also benefit the state by putting their skills to work in the social sector and remaining civically engaged. 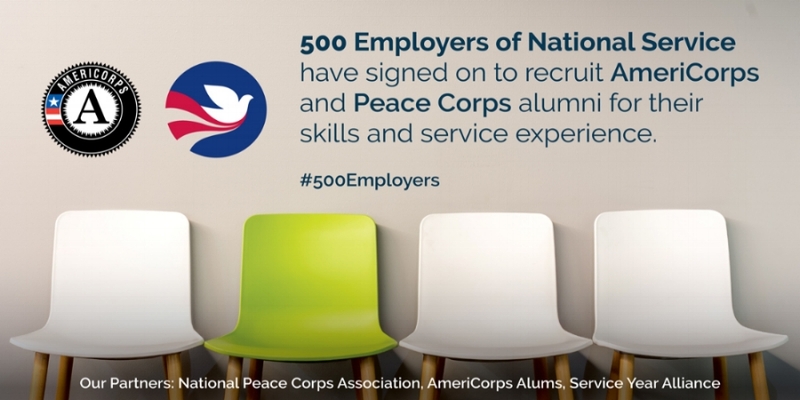 Capital Good Fund, Comcast NBCUniversal, and Sodexo in Rhode Island are among the 500 Employers of National Service, an initiative which connects AmeriCorps and Peace Corps alumni with employers from the private, public, and nonprofit sectors. Through this initiative, employers have increased access to a dedicated, highly qualified, and mission-oriented pool of potential employees, and national service alumni have additional opportunities to apply their skills in the workplace. 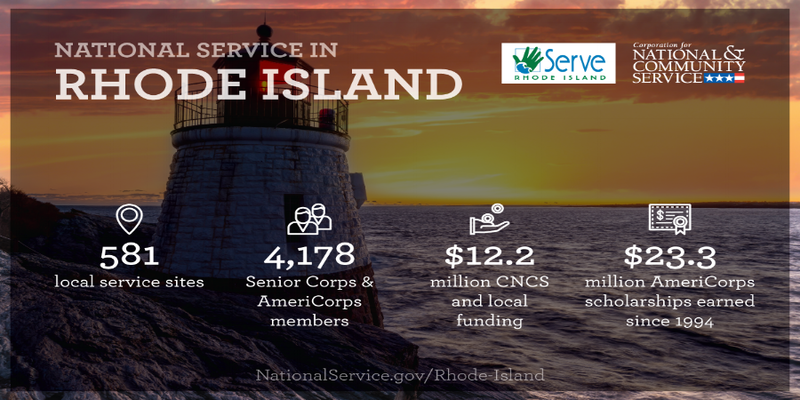 The Corporation for National and Community Service maintains data and mapping tools for all national service programs in Rhode Island, including Senior Corps and AmeriCorps. Follow the links to explore a map of service site locations and a state profile of the federal and local resources addressing community needs by leveraging national service participants. For example, more than 7,200 Rhode Island residents have served in AmeriCorps since 1994 and contributed more than 10 million hours. Like the G.I. Bill, AmeriCorps is based on a simple idea: when you serve your country, you get help to pay for education. After completing a full-time service term, AmeriCorps members earn a Segal AmeriCorps Education Award (approx. $5,920) that can be used to pay for college or technical school or to pay back student loans. Between 1995-2016, 3,800 individuals have paid $9.9 million to Rhode Island higher education and loan holding institutions. Click to see the list of RI AmeriSchools and amounts received. Meet Pressing Needs with an AmeriCorps team. Public agencies, schools, and nonprofit organizations can partner with existing AmeriCorps programs or apply for funding to train and deploy their own AmeriCorps team(s) to meet the pressing needs of Rhode Islanders. Click below to get more information about AmeriCorps news and events!